If you’re up for the challenge, the reward will be worth every hair-pull, every skipped heartbeat, and every page of fine print you read and sign. This is true with a majority of real estate transactions, but even more so here. We’ll go with the cliché and say, no one said buying property in Costa Rica was easy… If you don’t know the rest, you will soon enough. The good news is that with Dominical Real Estate assisting you along the way, it’ll be a successful and rather enjoyable process. Call us today and get ready to enjoy the ride. 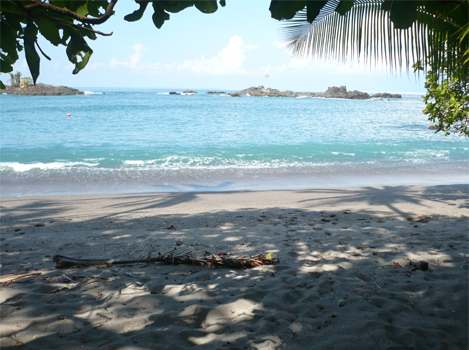 Properties for sale in Costa Rica appeal to a vast majority of buyers and real estate investors. In fact, they appeal to a vast majority of listing agents, as well – which says something about the international real estate process here. If it was too convoluted or deceiving, we realtors would steer clear, but it’s not and we don’t. The market has a lot to offer the first-time buyer, the seasoned investor, and everyone in between. Properties are held in numerous vast locations, all of which impart a tropical paradise. The country itself is, to some surprisingly, developed as a democratic nation with no army and high literacy rate. It’s very ecologically oriented, and has beautiful beaches and rain forests. If you want to share in this luxury lifestyle, you should start browsing available homes for sale now. Whether you want to retire here, establish a vacation home, or use the land for some specific purpose, you’ll find opportunities abound. Even if you have no strategy, you just want to answer to Costa Rica calling, you’ll discover your place in time. You can begin browsing the market without knowing where you’re heading. We can figure it out together. Sometimes, the best plan is to have no plan.